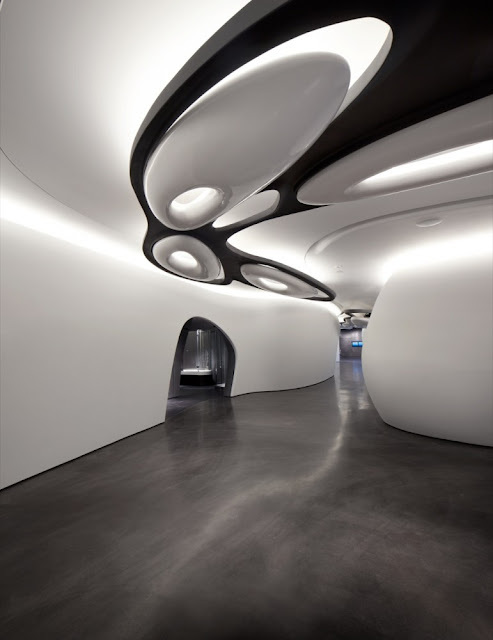 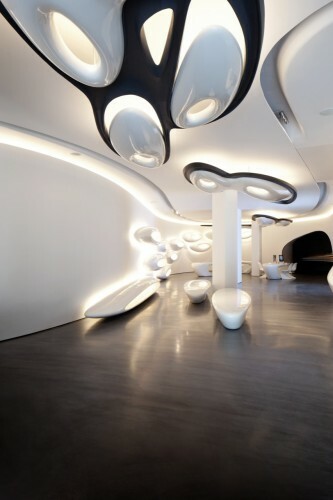 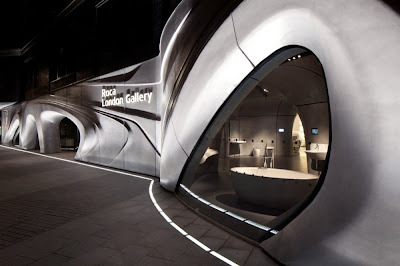 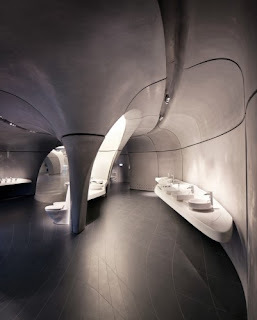 “Using a formal language derived from the movement of water, the Roca London Gallery has been eroded and polished by fluidity; generating a sequence of dynamic spaces carved from this fascinating interplay between architecture and nature.” Zaha Hadid. 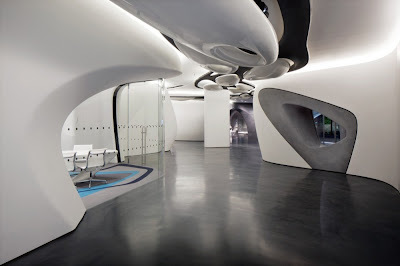 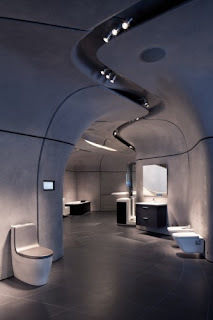 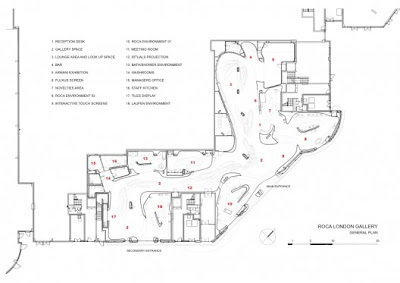 The modern space works well and resembles a cave eroded by water with the intricate forms being 'rock formations'. 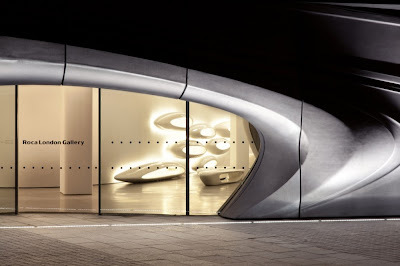 This is definitely a place I'm looking forward to visiting when I'm back in London!